In the contemporary era, if you are an iOS based device user, shopping list apps can help you save plenty of time at the grocery store. These apps help you make a list of things you need to buy regularly. This means all the hectic pen-paper work of your gets sidelines with these apps. 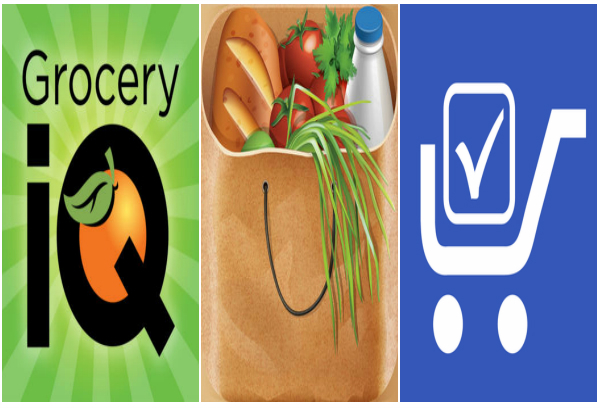 Grocery IQ is a free shopping list app and includes all the features you would expect in a powerful grocery app. Some of the functions this app has are list sharing, bar code scanner and integrated coupons. The app also offers you the option of creating a favorite list for the items, which you need to, buy regularly. In this app you can revise you list online and it will update automatically on the app. Shopping List app from Recipe.com is a freebie. Like Grocery IQ it offers functions like voice recognition, barcode scanner and integrated specials. It also has the feature to include store list for particular items. Being free, there is no harm in using this app your own convenience. If you do not like it, then you are at will to delete it and move on to the next app. With this shopping list app like other apps in the market, you can organize your grocery lists without any hassle. This app also lets you share the list with other family members, who intern can update the list or will let you know, if something is lacking in it. 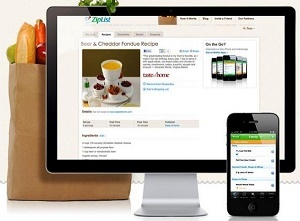 The app apart from assisting you in creating the shopping list also helps you in searching for recipes. This can help you in buying the exact ingredients from the market without wasting any money on useless items. 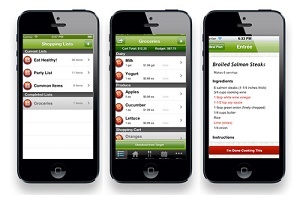 The app features the option of creating list as per the sections of a grocery store. The only thing this app is lacking is a pre-installed list where you would had to just click instead of typing the product names manually. It is a paid app and comes for a price of $2.99. The app also redirects you to recipe sources and automatically adds the ingredients for a recipe in your list. The price of this app is $3.99 but looking at the feature they have included, it might be a good deal for you. What do you need else if you have an iPhone in your hand? Update yourself and your way of shopping installing all new and some of the best shopping list apps.